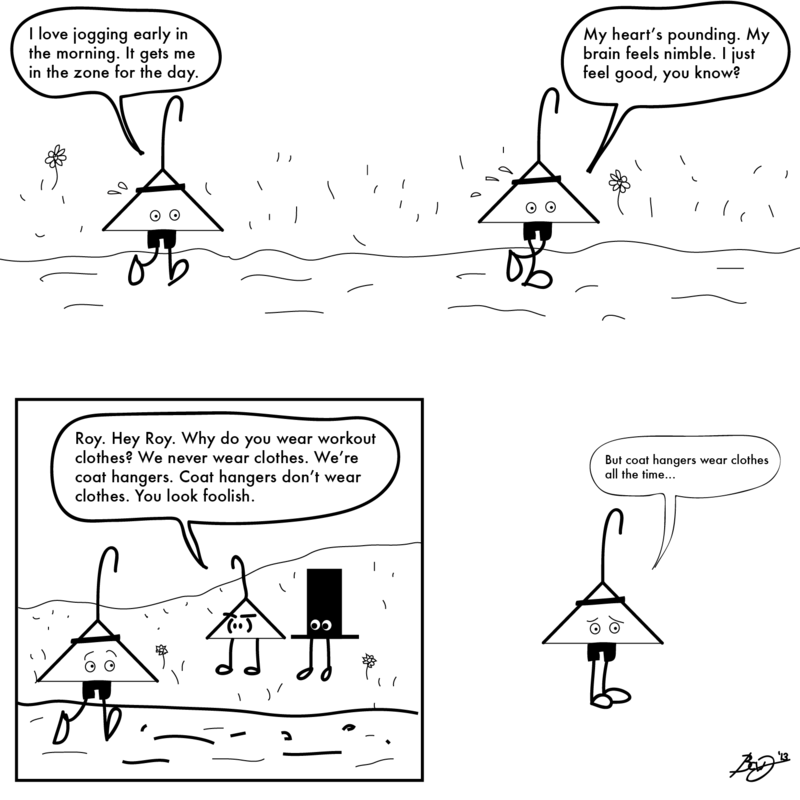 Image | This entry was posted in Uncategorized and tagged cartoon, cartoons, coat hangers, comic, comics, exercise, fashion, health, webcomic, webcomics, working out. Bookmark the permalink. I love the coat hangers! Why thank you. I’m fond of them too. Also, just checked out your webcomic and I’m glad to see we share a passion for strange, unexpected things coming to life! Keep up the good work! The world always needs more weirdness. Thank you! It is always great to see strange comics that have been well thought out and entertaining. I look forward to more coat hangers!